SOFI TUKKER is l to r Tucker Halpern and Sophie Hawley-Weld. 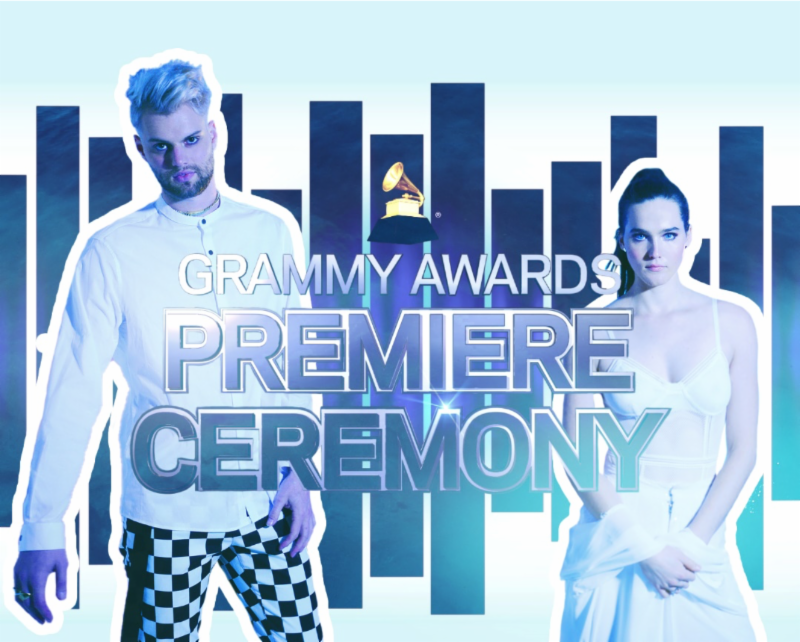 TUNE IN this Sunday, February 10 as SOFI TUKKER–the Los Angeles-based duo of Tucker Halpern (vocals, bass, percussion, production) and Sophie Hawley-Weld (vocals, guitar, percussion)-will perform during the 61st GRAMMY Awards Premiere Ceremony. The event, which precedes the GRAMMY Awards telecast on CBS, will be streamed live at www.GRAMMY.com from 12:30pm – 3:30pm PT. They are the first-ever electronic act to perform as part of the Premiere Ceremony. The band is nominated for a “Best Dance/Electronic Album” GRAMMY® Award for their debut album TREEHOUSE (Sofi Tukker LLC/Ultra Music). This marks their second nomination following a “Best Dance Recording” nomination for their debut single “Drinkee” in 2017. TREEHOUSE received great acclaim for its genre-defying sound, vibrant melodies and themes of inclusivity and self-empowerment. The group released a series of internationally celebrated singles from it including “Baby, I’m A Queen,” “Batshit” and “Best Friend” featuring NERVO, The Knocks & Alisa Ueno, the latter of which became a Top 20 smash at U.S. pop and alternative and went #1 at dance radio this year. This entry was posted in Press Releases, SOFI TUKKER. Bookmark the permalink.